Fishing abroad is becoming increasingly popular amongst UK anglers. Change of scenery, some nice weather (hopefully) and of course, the chance to catch some different fish or beat your PB. However, research being undertaken by the Angling Trust indicates that we could be unintentionally catching more than we bargained for whilst fishing overseas. Emily Smith, Angling Trust’s Invasive Species Manager, explains. Invasive non-native species cause substantial damage to our aquatic environments; clogging waterways, decreasing native biodiversity and accordingly impacting our fish populations. Once established, species can often be impossible or costly to eradicate. 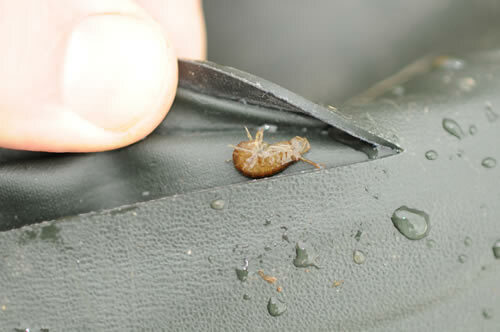 Consequently, the Check Clean Dry campaign was launched in 2011 to attempt to minimise the spread of invasive species. 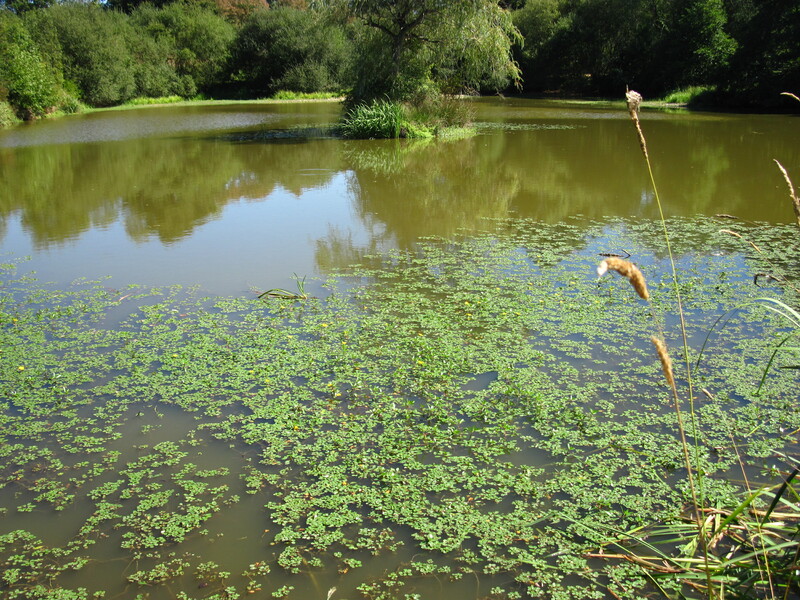 This provides advice on simple biosecurity measures that recreational water users can take to minimise their risk of unintentionally moving invasive species between water bodies. 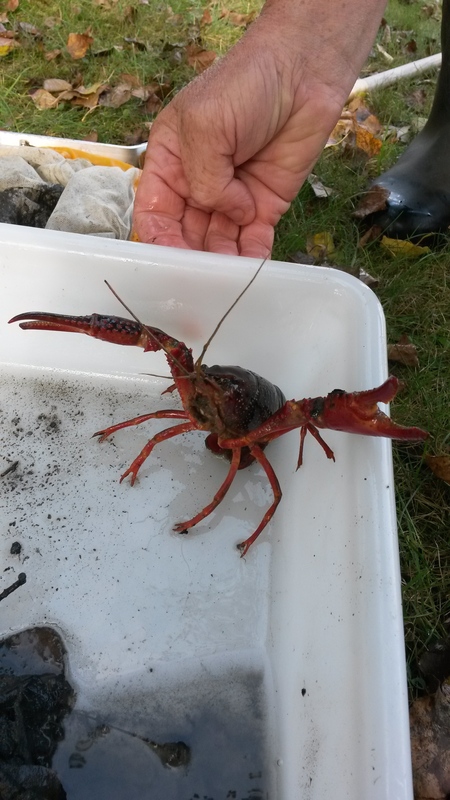 Red Swamp crayfish found in seven lakes in France and currently spreading in south-east England. It is feared they could be more aggressive than the North American Signal crayfish. They can be a real nuisance to anglers as they eat bait, undercut banks and can cut through fishing lines. Supported by a range of stakeholders including the Angling Trust, anglers have readily engaged with this guidance with around 45% of anglers undertaking regular biosecurity in 2015 (see http://www.anglingtrust.net/news.asp?section=29&itemid=3025). There is still further progress to be made. However, this shows there has been substantial improvement in managing and preventing the spread of established invasive species between water bodies within the UK. Our long-term goal is to minimise the risk of new invasive species being introduced to the UK. There are several routes through which this could occur such as in ship ballast water, contamination of imported good or attached to damp angling equipment. Each of these different routes warrants further investigation which the Angling Trust has been leading for angling. Over the summer last year, I visited over 30 different fisheries in northern France to investigate the plant and invertebrate life within the lakes. Twenty of the fisheries (59%) contained at least one invasive aquatic plant or invertebrate, totalling 12 different plant, shrimp, and mollusc species. This included the Caspian slender mysid (Limnomysis benedeni), a high alert species which is not currently present in the UK. In addition to this, three different crayfish species and the highly aggressive top mouth gudgeon and black bullhead were also discovered. Many of the fisheries surveyed required anglers to arrive with dry nets, or in some cases the fishery dipped the anglers’ equipment in disinfectant before they could start fishing. However, there was no obligation to clean or dry the equipment upon leaving the lake. This raises concern as many aquatic invasive species have been shown to survive for over a fortnight on damp angling equipment (Anderson et al., 2015). With frequent ferry and Eurotunnel links between France and the UK, if equipment is not thoroughly cleaned and dried following a trip abroad, invasive species could be inadvertently transported back into the UK and introduced into a British water body on the next fishing outing. Although individually the risk of catching a viable invasive species in a net appears small, the high volume of anglers repeatedly fishing abroad increases the possibility of these events occurring. Many aquatic plants reproduce asexually, and fertile female shrimps such as the killer shrimp can hold up to 200 eggs in their pouch (http://www.nonnativespecies.org/factsheet/factsheet.cfm?speciesId=1219). 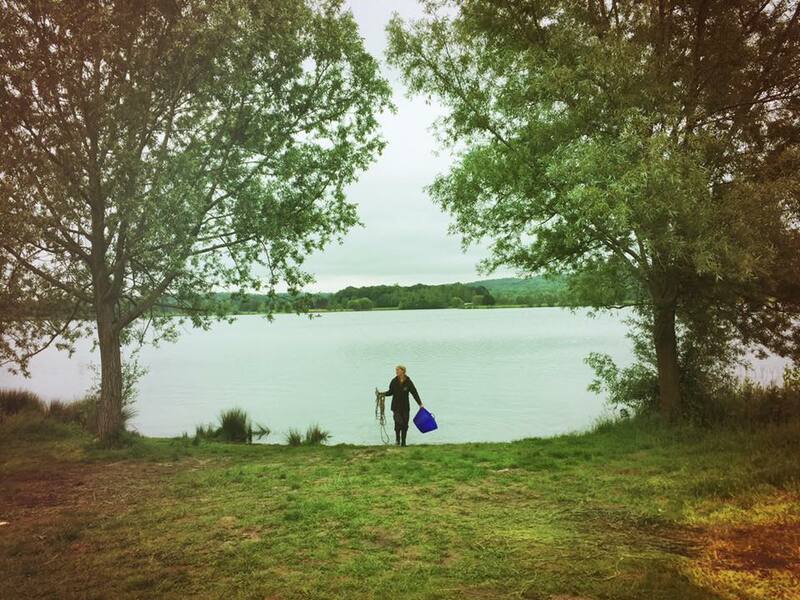 The introduction of a single viable specimen could therefore enable establishment within a lake and in the long term result in substantial, often irreversible, changes to our aquatic environments such as those at Grafham Water in Cambridgeshire. While this survey focused on fisheries in France, many other popular fishing destinations have invasive species of major biosecurity concern to the UK. In particular, there are at least 10 aquatic invasive species of note in the Netherlands, as well as the salmon louse Gyrodactylus salaris in Norway which is having a devastating impact on their salmon fisheries. It is therefore essential that after a trip abroad anglers thoroughly clean their equipment following the Check Clean Dry guidelines to minimise the potential for more invasive species or parasites to be introduced. To find out more on invasive species, please head to the Non-native Species Secretariat http://www.nonnativespecies.org/index.cfm?sectionid=123 where they have free guidance on identifying invasive species and conducting biosecurity. Emily’s post is funded as part of the London Natural Environment Research Council (NERC) Doctoral training partnership, with the Angling Trust fulfilling the role of an ‘industrial CASE partner’. In this arrangement Emily will gain work experience while undertaking her PhD. As part of her employment, Emily has been managing the Angling Trust’s ‘Alien Attack’ Environment Agency contract. Anderson, L.G, A.M. Dunn, P.J. Rosewarne and P.D Stebbing (2015) ‘Invaders in hot water: a simple decontamination method to prevent the accidental spread of aquatic invasive non-native species’, Biological Invasions, 17(8):2287-2297. doi:10.1007/s10530-015-0875-6. The Dangers of Holiday Invaders ! Invasive beasts and where to find them ! ← Rod Licence Pt 2 : Where does the money go ?